Online ordering menu for Thai Spice. 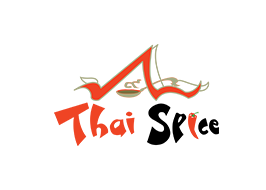 Welcome to Thai Spice in Orange, Connecticut. We serve authentic Thai Cuisine such as Crispy Pad Thai, Massaman Curry, Pra Ram, and more! We're located east of Orange Hills Country Club on Boston Post Rd. We're not far from Peterson Soccer Field and Yale West Campus. Order online for carryout or delivery!